Sarteano is a charming town, sheltered inland between the Val d’Orcia and the Valdichiana, in an area where one can experience breath-taking views from anywhere. The area has been inhabited since prehistoric times, which we know thanks to remarkable archaeological evidence from the Neolithic period found in the Grotta dell’Orso. 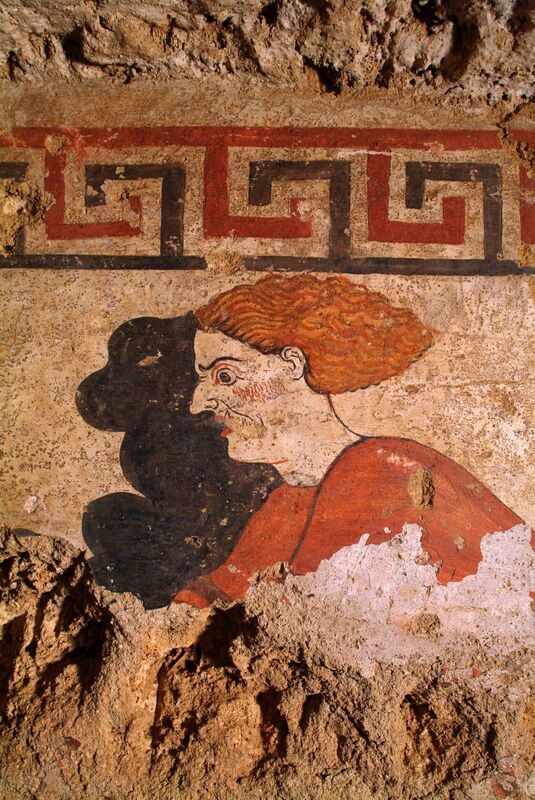 The presence of the Etruscans, who lived in Sarteano from the 1st to the 9th century BCE, was very important. In fact, in Sarteano there are some of the most esteemed Etruscan tombs in Tuscany, including the Quadriga Infernale, where there are arguably some of the best conserved frescoes from that civilization. A large number of the discoveries found in the area over the years can be seen in the collection at the Sarteano Etruscan Museum. As well as an ancient historical past, Sarteano also has a medieval past. The most significant part of this is the 10th-century square castle, which clearly shows the medieval spirit of the village. Among the great places to visit are the Church of San Martino in Foro and the Collegiate Church dedicated to Santi Lorenzo and Appolinare, where some valuable works are kept. Other places of interest are the Palazzo Comunale, the Palazzo Piccolomini, the Palazzo Goti-Fanelli and the Palazzo Cennini, and another little jewel is the Arrischianti Theatre. There are corners to discover in every part of this town. A few kilometres from the centre of the village, after passing through dense forests, you reach the Spineto Abbey and the medieval village of Castiglioncello sul Trinoro, which could even be explored after having wandered through the beautiful greenery of the Pietraporciana Natural Reserve. The perfect time to visit Sarteano is August, during which every year, on the day of Ferragosto, the famed Giostra del Saracino takes place: an exciting jousting competition with medieval origins and influences.